Georgetown Pilates is a proud partner and affiliate of Power Pilates, the leading educator in Classical Pilates. The Power Pilates method encompasses more than 500 controlled, precise movements designed to stretch and strengthen muscle without adding bulk. The exercises follow the six principles of Joseph Pilates – centering, control, concentration, flow, breath, and precision. Georgetown Pilates offers Core Mat I & II as well as comprehensive certification. The Core Mat I program is the foundation of the Power Pilates method. Each subsequent program builds upon the information learned during this course. During this weekend you will learn to teach the 18 beginner level mat exercises and be introduced to Power Pilates teaching tools, philosophy, and teaching formula. 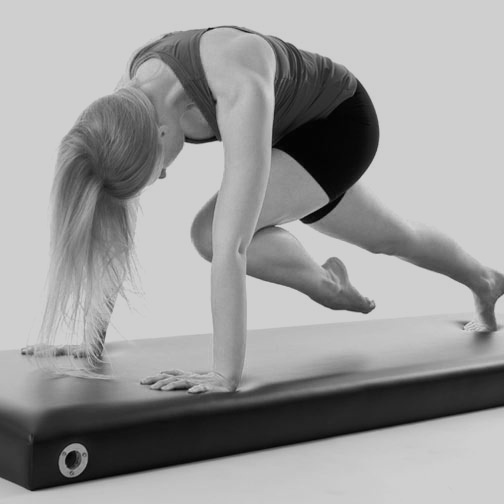 Every student new to Power Pilates must start with Core Mat I. Core Mat I & II are required to progress to the Comprehensive program. During the Core Mat II weekend, you will learn 12 intermediate level exercises, including where to add them within the sequence of the beginner level mat class, and continue to work on your teaching skills. Our students say that "everything starts to click" during the Core Mat II weekend. Completing the Core Mat II weekend expands the range of clients you can work with and strengthens your teaching ability. Core Mat I & II are required to progress to the Comprehensive program. The Comprehensive training is the most extensive program and covers beginner, intermediate and advanced level exercises utilizing the Pilates apparatus: Mat, Reformer, Cadillac, Chair, Barrels, Ped-o-Pull and Magic Circle. Students will learn subtle exercise modifications in order to cater to multiple potential client needs and master the ability to work offer instruction for all fitness levels.